Build your own Rodak – a portable camera powered by your Raspberry Pi @Raspberry_Pi #PiDay #RaspberryPi @alexellisuk « Adafruit Industries – Makers, hackers, artists, designers and engineers! Excellent project from Alex Ellis! 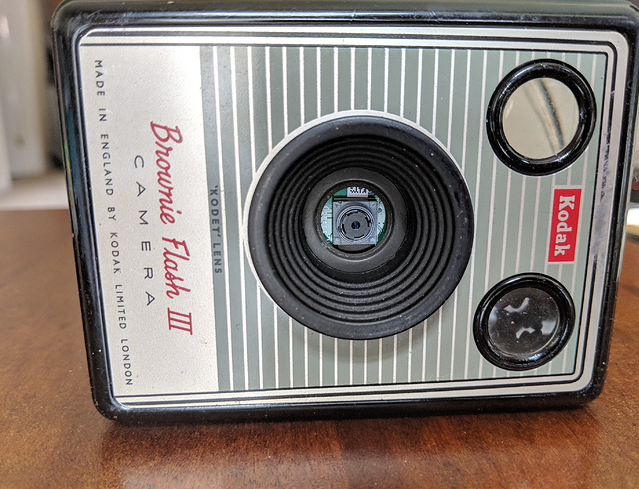 This can be an old Kodak Brownie repurposed, or a $1 clear plastic lunch-box from a thrift store such as Poundland. Additional parts for assembly: soldering iron, solder, heat-shrink wrap, hot glue gun and double-sided adhesive velcro.